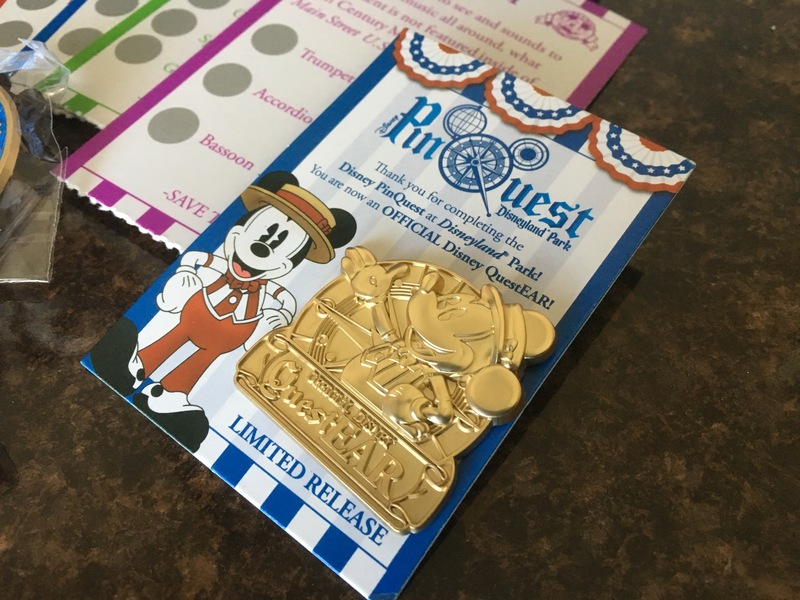 Pin collecting takes on a new dimension with Pin Quest! At both Disneyland and Magic Kingdom at Walt Disney World a pin scavenger hunt has begun. Bringing you all over the park, collectors go from location to location solving clues and collecting pins along the way. It’s a fun way to spend time in the park and add to your lanyard all at the same time. But is it worth the investment? 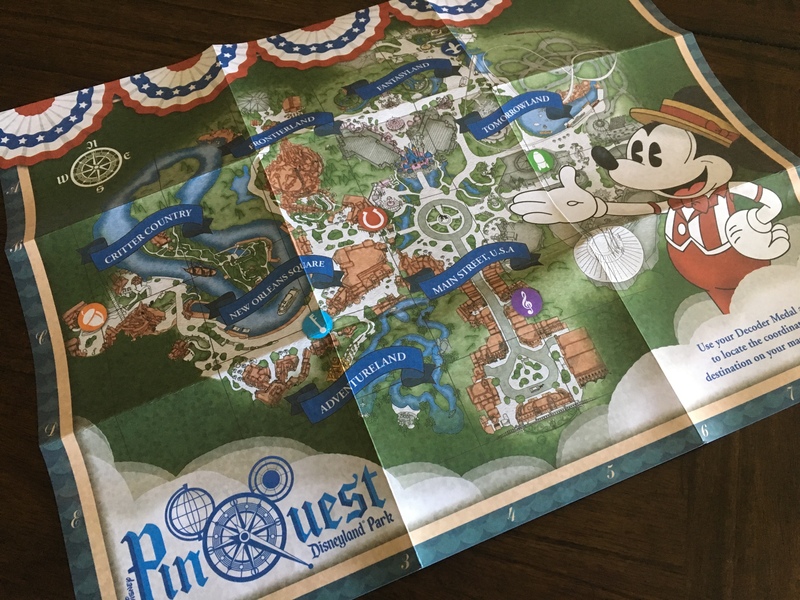 Find your way around the parks to your next destination with this handy map! The price point is steep. The starter kit which comes with a lanyard, decoder medallion, map, and pouch (to hold the map and the clue cards) costs $14.99. But each clue card costs an additional $9.99 and there are six clue cards. After solving the puzzle, you then have to BUY the completer pin for an additional $4.99. In total the cost is about $80. Also, when they measured the dimensions for the pouch, they didn’t take into account the slider at the top. The map is very difficult to put back in because it fits so snugly into the pouch. Would it really have been a big deal to leave enough room to fit it in easily? After completing your quest, you can BUY this pin as a reward. It’s super cute, but after spending $75, they couldn’t throw this in? The completer pin is cute. Okay, that’s not all. The map is cute, the decoder is cute, and the idea is cute. And because they are limited release once the Pin Quest is over there won’t be any more. For the avid collector, this is a set they will want to add to their pin bag. Some of the characters are hard to find, so if you like Tigger, Lilo, Captain Hook, Peg Leg Pete (I think), the Alien Toy from Toy Story, and one of the dancing penguins from Mary Poppins, this will be a nice addition. Lilo doesn’t look quite like Lilo (I’m betting because she’s supposed to be her “small world” self) but otherwise they are all nicely constructed pins. 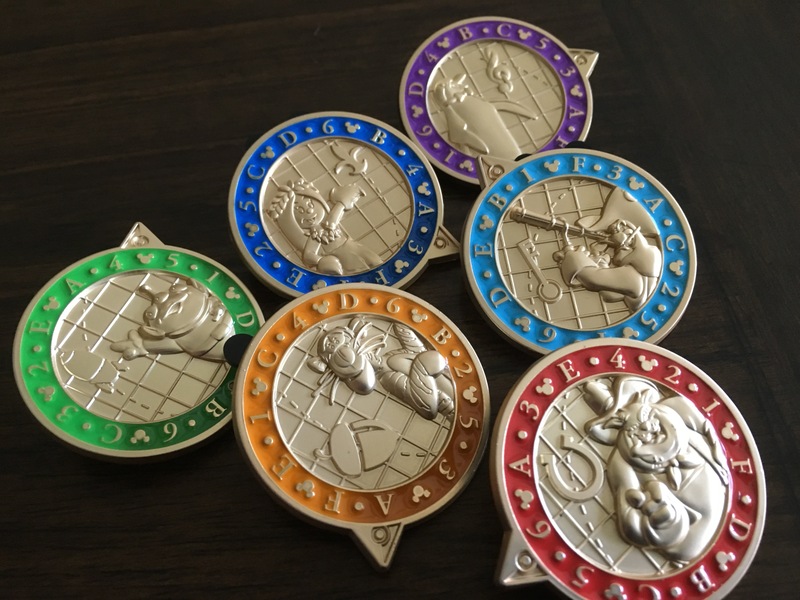 Interestingly, the pins at Disneyland are different than the pins at Magic Kingdom and unlike the Pin Quest at WDW there are no decoy locations. It’s all pretty straight forward. For the guest traveling to the park for the first time, this is definitely not worth it. You’re not going to want to spend your time going from place to place when you could be going on attractions and watching parades. But for the annual passholder who loves pins, for the person who goes frequently and wants to take a break from the long lines in the middle of the day, this is a nice (albeit expensive) diversion. And if you just want the pins without having to go from location to location, you CAN buy them all in one place. I’m so glad that Disney continues to think of new and fun ways for guests to interact at the parks. This one may be a little expensive but its nice to see the pin-thusiast getting some love and attention at the parks!